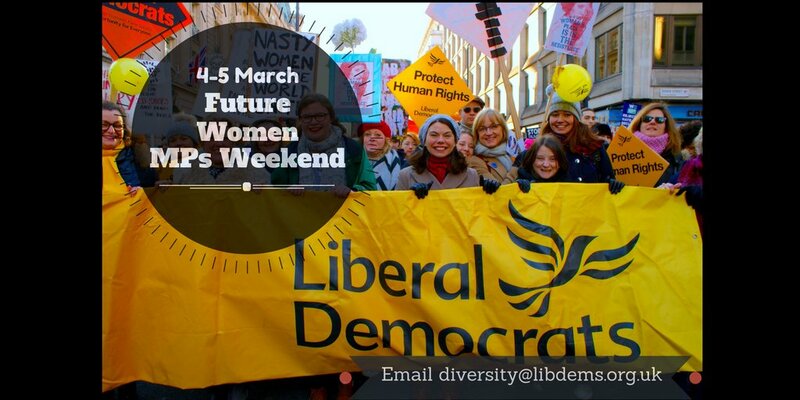 The FWMPs Weekend is an exciting residential training weekend specifically designed for women who might be interested in standing for Westminster. It is run by the Campaign for Gender Balance (CGB) which is now a part of LDW. Jo Swinson, Tessa Munt and Jenny Willott all started their successful quests for a seat in Parliament at a FWMPs Weekend, and so could you! Please spread the word about this fantastic opportunity to women members who you feel are strong applicants. Briefly, outline any political roles that you have held and/or activities that you have been involved in within the Party over the last 2 years. How would attending the Future Women MPs weekend assist you in achieving your political ambitions? Are you intending to try for a strategic seat for the 2020 General Elections? Are there any seats that you are currently interested in? If so, please specify. What training have you already attended which will assist you becoming a Parliamentary Candidate / MP? Is there any training that you would find particularly useful? This should be completed by a person who can confirm your suitability for this course. This should be someone that you know or have worked with from the Party, whether on a local or national level. It is the responsibility of the applicant to make sure this section is filled in and returned by the application closing date. If you do not wish to send the whole completed form to your referee, then please request your written reference by e-mail, and then copy it into this form. To the Referee – please comment on this applicant’s suitability for a place on the FWMPs weekend. The selection process is likely to be highly competitive so your reference will be given careful consideration. The cost of the weekend is £75, this includes accommodation, meals (breakfast, lunch and light refreshments) and training. The fee will be waived for those who are unwaged or unable to pay. Please note that we only have limited spaces available on the course. We will notify you if you have been allocated a place as soon as possible.